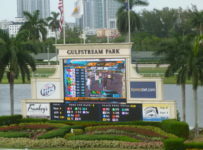 The sixth race is six furlongs on dirt for 3-year-olds and up. It is an allowance with a $38,0000 purse and a $62,500 optional claiming price. 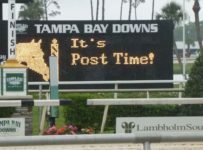 Scheduled post is 3:54 p.m.
First post for the eight-race Wednesday card is 1:15 p.m. 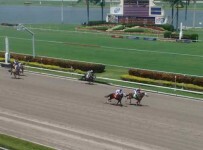 In the first race, there is a Super Hi-5 carryover of $6,039.18. 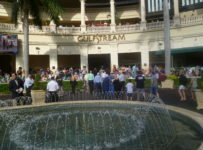 The carryover on the Rainbow 6 is $8,329.26 on races three to eight. 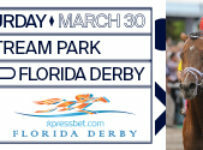 The main track is listed as fast and the turf is listed as firm, The Weather Channel forecast has the rain chance at 25 percent or less during racing hours. 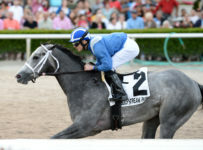 Grand Bili has not raced since March 2 when he finished ninth and last in the $75,000 Silks Run Stakes at five furlongs on turf at Gulfstream. It was his only career start on turf. 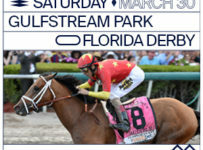 Last year at Gulfstream, he won the seven-furlong Carry Back (Grade 3) for 3-year-olds. Emisael Jaramillo will ride Grand Bili for trainer Gustavo Delgado and owner Grupo 7C Racing Stable. 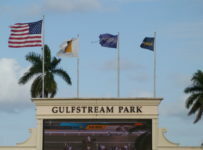 The 4-year-old colt has produced a strong series of six workouts over the Gulfstream Park West surface in preparation for his return. J S Bach, trained by Todd Pletcher, and Singanothersong, trained by Ron Pellegrini, loom as top challengers to Grand Bili. The field was reduced from nine horses to six following the morning scratches of Tiger Blood, Wildcat Wish and Fearless Dragon. 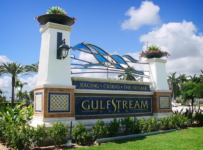 Gulfstream Park is running the GP West meet under a lease agreement with Calder. 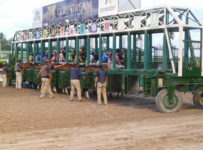 The area open to the public at Calder has just two mutuel clerks, both walk-around, and just four betting machines That area also does not have any tents or other covered structures for fans. 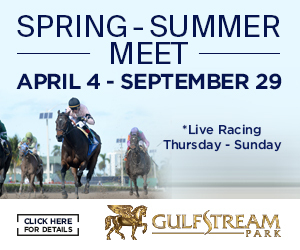 Thus, Gulfstream management is asking fans to “not go to Gulfstream Park West,” but instead go to Gulfstream to watch and wager on the GP West races via simulcast as well as on Gulfstream’s regular menu of simulcast tracks. 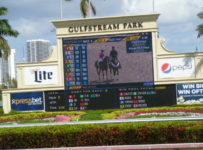 For Gulfstream the economics of bets is the same. 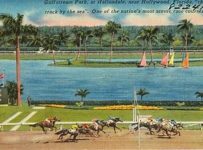 Whether a bet on a GP West race is made at Calder (GP West) or is made at Gulfstream. 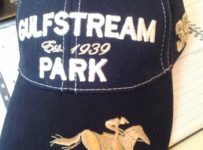 In both cases, Gulfstream gets 50 percent of the takeout and the Florida Horsemen’s Benevolent and Protective Association gets the other 50 percent which is earmarked for race purses.